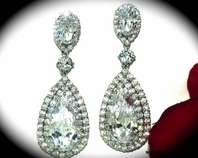 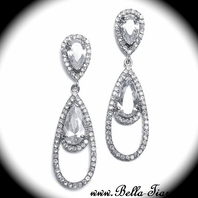 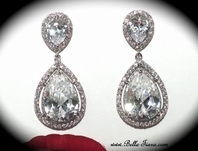 One of staff's favorite, Elegant and Brilliant CZ wedding bridal Earrings. 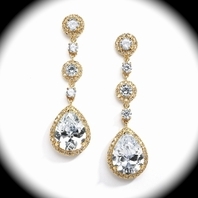 the perfect drop earring for the bride that loves tradition but just needs to all a little more bling. 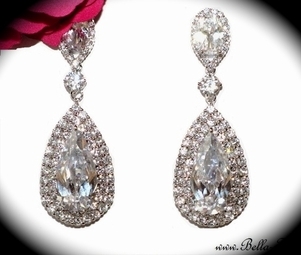 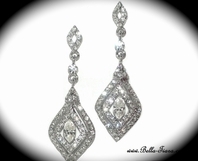 Absolutely gorgeous appoximately 1 3/4" long drop High end Cubic Zirconia wedding earrings. 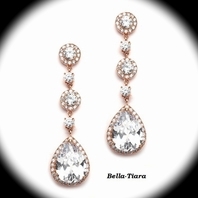 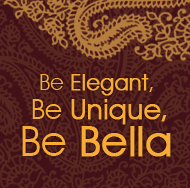 ADD either our stunning high end cuff/bangle bracelet or our breathtaking bold CZ stone bracelet both incredible priced when purchased as a set.